The various statistics, published by the Australian Bureau of Statistics ( ABS ), for example, are generally established at the national level ( National Aboriginal and Torres Strait Islander Social Survey , for example), but the states and territories that make up Australia are cases apart that should be studied in isolation because the results differ according to the aboriginal population of each of them. In 2010, according to the Australian Institute of Health and Welfare  Life expectancy and mortality of Aboriginal and Torres …Aboriginal life expectancy was 11.5 years lower for men and 9.7 years lower for women than for the rest of the Australian population. This difference can be explained by a number of factors, such as the difficulties of access to care due to the geographical remoteness of the aboriginal communities, the various addictions (alcohol, narcotics), the precarious housing conditions (overpopulation, insalubrity, absence sanitation …), desocialization associated with unemployment (only 46% of Aboriginals aged 15 and over are in the world of work, compared to 62% for the rest of the population) and violent behavior resulting in repeated conflicts with the law. Across Australia, Aborigines represent the poorest population in terms of access to care, despite unanimous recognition by the medical and scientific community of their propensity for chronic diseases: diabetes, cardiovascular disease and diabetes. cancers, among others. This situation is explained by their current lifestyle. It should be kept in mind that the Aborigines were a hunter-gatherer people and therefore had a meat diet (kangaroo meat, emu …) and vegetable (various berries, roots and plants) low fat. Their entry into the modern world has led to a change in their basic food (consisting of junk foodfatty and sweet products), with the repercussions that we know about their overall health and the appearance of chronic diseases. Medical studies have been conducted on the impact of dietary modifications on this degradation. In 2008, according to a survey published by the ABS   4704.0, The Health and Welfare of Australia’s Aboriginal …, chronic alcohol consumption rates were associated with lower rates of good health ( 35%, compared to 49% for low-risk drinkers). 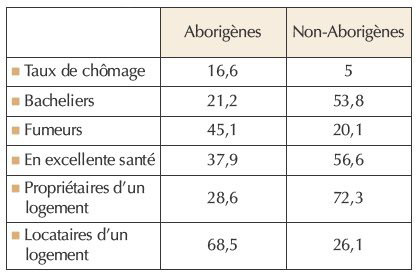 In addition, 17% of Aboriginal respondents over the age of 15 reported chronic drinking, men more than women (20% versus 14%). In aboriginal men, excessive alcohol consumption and trouble with the law are linked. According to another SBS  survey  4714.0, National Aboriginal and Torres Strait Islander …, between 2003 and 2008, chronic drinkers were more likely than low drinkers (29% versus 15%) being arrested, being formally charged by the police (55% versus 36%) and having been incarcerated at some point in their lives (18% versus 7%). 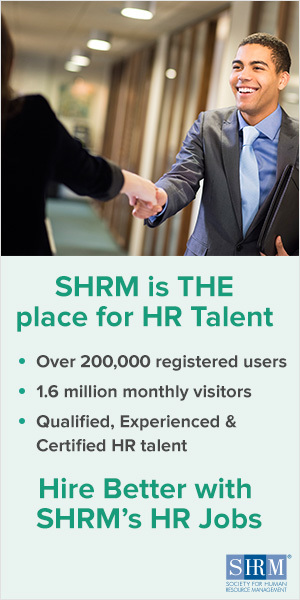 These dependencies impede the integration of Aborigines into the world of work. Added to this is the problem of random schooling: in 2008   National Aboriginal and Torres Strait Islander Social …Two out of five Aboriginal people aged 15 to 24 were students, which is an insufficient enrollment rate that does not allow them to acquire a real professional qualification to find a place in Australian society. The unemployment rate among Aborigines is three times higher than in the rest of the population, and the participation rate of Aborigines aged 15 and over is, let us recall, 46% as against 62% for the rest of the population. the population   http: //www.abs.gov.au/ausstats/abs@.nsf/Products/6287.0~2010~ …. As we can see, the social and health differences, despite a certain decline over the decades, are still very marked. Source: National Aboriginal and Torres Strait Islander Social Survey , 2008.